What happened after the end of The Amber Spyglass? Sadly, our beloved Philip Pullman has said there will be no direct sequels now that the trilogy is over: Lyra and Will's story is over. These were the introductory phrases of bridgeofthestars.net's article about Phillip Pullman's The Book of Dust. The Book of Dust will be a companion novel to the His Dark Materials trilogy. It will follow Lyra, returning to her story two years after Lyra's Oxford, and will tie into that previous book. Lyra will be "about 16". The book will also be "about Dust" and will address the questions about the lack of portrayals of positive effects of religion in His Dark Materials, although it "will be not a continuation of the trilogy, but other stories about the same world and the same characters." Updated: As of February 2011, Pullman has revised The Book of Dust, making it a two-volume tome instead of the single book that was originally planned. The said volumes will be a prequel to the His Dark Materials series and one to come after. He then confirmed this same statement over his interview with The Telegraph. 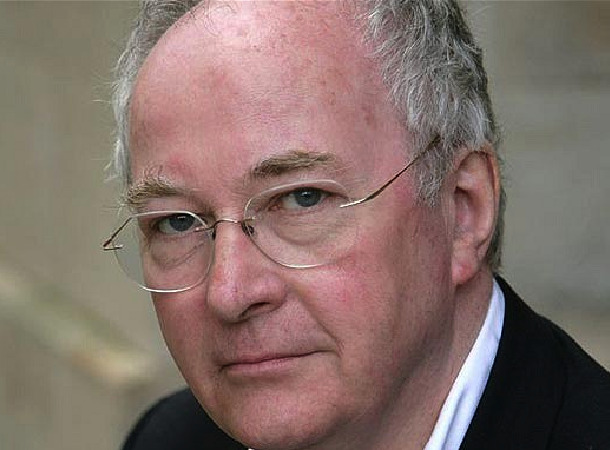 Unfortunately, Pullman said on his interview with Qué Leer last August 2011 that the book will take "a couple more years before you can read it". Additionally, this will contain various short stories about many of the secondary characters in the series, such as Lee Scoresby and Serafina Pekkala. There may also be information about Dust, the Alethiometer, the Subtle Knife, and dæmons - all the things we wondered about, but weren't important enough to put into the books themselves. Next is Once Upon a Time in the North (the blue one), which will focus with how friendship formed between Iorek Byrnison and Lee Scoresby. Pullman said, "When we see them for the first time with Lyra, Lee is not that old, he's fifty, sixty, something like that, so they know each other for a long time. But I wanted to write a story when they first met as they were young, and I've just written it. I'm making a little book like Lyra's Oxford with extra-bits. I've just been working on it, on a game, a game-board. It's going to be part of that book." Lastly, The Green Book will be about Will, Lyra's friend from the real Earth. It is yet to be published. 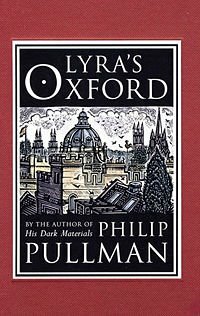 And Pullman elaborated, "Lyra's Oxford was a dark red book. 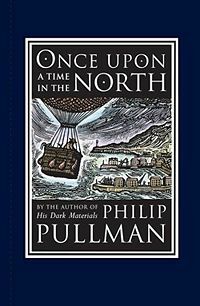 Once Upon a Time in the North will be a dark blue book. There still remains a green book. And that will be Will's book. Eventually..."